» Simplified: How Raid Arrays Work! A server enables businesses to share hard drives and resources, and makes central backup a breeze. But having a server without the right equipment will NOT keep your data safe when you need it. 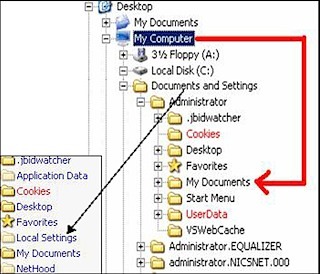 A single person using a computer, if doing backups correctly, would be able to limit their loss in the event of a disaster. However, 10 people using the same hard drive is exponentially a greater loss in the event of a hard drive crash. Ten people working 1 hour, is 10 man hours of work. At 5 pm, if that hard drive crashes it could cost thousands of dollars in lost work and time! How much would 80 man hours of non-productivity cost your business? Now imagine you could push an On-Hold button the second before the hard drive fails. You could then replace the bad drive before any damage occurs. That is the purpose of a Raid 5 Array. In case of a failure, a Raid 5 Array protects the server from “down time.” It will allow for a drive to fail and your system to continue running without the result of lost data. Raid 5 does this by storing parity data on all the hard drives. Parity is a formula that calculates error correction data. By distributing parity across all drives it creates a safety net for the data when a drive fails. When a drive fails parity information, from the other running drives, will be used to recreate the lost data in real time. Because this formula requires enough data to calculate the lost information, a minimum of three drives are necessary. As drives are added together, their space is added to the overall total size, minus one drive for parity. No matter how large the Raid 5 array is, only one drive will be lost to creating parity. There are many different types of Raid Arrays. Raid 5 allows redundancy with little sacrifice. A company of any size should not even consider the other types of raid array. Raid 0 and Raid 1 have very high rates of failure and should not even be considered. Raid 5 is the most redundant, affordable and safest for a business of any size. When considering a server, ask for Raid 5. There are affordable Raid 5 controllers even for single computers. If you are working with critical data you can not afford to lose then Raid 5 is the right solution for you. For your data, a Raid 5 array is the best insurance money can buy.